Meeting Minutes 2016. Forehill, Holmston and Masonhill Community Council. Guests: PC Coulter, PC Harding, Stewart Turner, ARA. October Minutes : Anne proposed. John seconded. • November correspondence was read out with some included as agenda items. • Treasurer's report was read out and discussed. • Local incidents discussed. Comparing November 16 with November 15, the number of break-ins (1) and assaults (2) in the area are down on this time last year. There was an increase in breaches of the piece (3). • POLICE SCOTLAND REMIND RESIDENTS TO ENSURE HOUSES, VEHICLES & SHEDS/GARAGES ARE KEPT SECURE IN THE RUN UP TO CHRISTMAS AND RESIDENTS SHOULD REMAIN VIGILANT. • FHMCC website/FB - Links to be added (Anne). Review of website and FB page by all Community Councillors. Feedback to Anne. • Castlehill Estate Pathways - John met with Fiona Ross and Gavin Rowan of SAC, on site, to discuss our vision for the woodland paths. It is estimated that around £20,000 will be needed to carry out this work. John will progress this project and report again in January. John will also attend SAC Community Planning open evening at JPC on 7th December. • Litter/Environment - Bill will continue to monitor. • Parking at Forehill Shops. A general discussion with Stuart Turner of ARA. Stuart accepted an invitation to our January meeting for further talks. All Board members are asked to email Anne with their roads concerns no later than Monday 16th January. Anne will also post this feedback request on the website/FB pages. • Cut back of vegetation overhang on the Castlehill Road public footpath - Bill is following up. • Notice Board repairs. John will request the cost of materials required. • Signage on Overmills Road. Cllr Wallace advised that four new speed signs have been installed. • Holmston Road / Alternative Cycle Lane - John has contacted Sustrans. • Blue book review group meeting outcome was discussed. • SAC Community Council Conference was discussed. • Defib update. Anne confirmed we have one placement site offer. She will progress the next steps and update again in January. • FHMCC environmental award to local primary schools - Bill and Anne progressing. • FHMCC environmental award to Kyle Academy - Chris provided an update on this early spring project. The Committee is asked to nominate local residents and pass their contact details to Anne. • Holmston House sale is complete - Bill attended their open night. • Parking at 1 Glenriddel Road. Cllrs Kilpatrick and Wallace provided updates. • Ayr Bus Users Group correspondence was emailed to all Community Councillors. • Forehill Library closure for upgrade has been postponed until the new SAC financial year. • Energy Agency Board Nomination request will be followed up by Bill. • The filter lane from Holmston Road / Hillfoot Road needs speed signs. Cllr Douglas will follow up. • Cllr McGinley suggests a letter of congratulations to the Market Inn on their recent upgrade - John. • Cllr Douglas suggested similar correspondence to 6 Holmston Road on their beautiful Christmas decorations - Anne. • Tuesday, 31st January 2017, 7pm, Kyle Academy. Local Residents are welcome. In relation to the above agenda item we would note that regarding any engagement with improvements in Castlehill woods, the meeting discussed whether we create a separate ‘Friends of Castlehill Woods’ or drive these desired improvements through the Community Council. The meeting agreed that the programme would be under the auspices of the Community Council. John McGuire will lead the search for funding and the definition of the work needing done. This avoids the need to constitute a new organisation and the effort that would take. • Emails from Forehill PS Parents Council, BKSTL CC and Alloway & Doonfoot CC were read out. The remaining emails are included in the agenda. • Final paperwork for council funding has been submitted to SAC. Fund totals were discussed. • Local incidents discussed. Instances of serious assault, drug possession and house breaking are all down from this time last year. Six common assaults & four motor thefts are up from this time last year. • POLICE SCOTLAND REMIND RESIDENTS TO ENSURE HOUSES, VEHICLES & SHEDS/GARAGES ARE KEPT SECURE IN THE RUN UP TO CHRISTMAS. • FHMCC take this opportunity to offer our sympathy and a speedy and full recovery to the Police Officers injured last month in Glasgow. • FHMCC website/FB - If you have a story or information you would like to share with the community please let us know. • Friends of Castlehill Woods - round table discussion regarding grants. John will progress. Vandalism to notice boards - repairs to be costed. • Litter/Environment in the area and Castlehill Road overhang - Bill will progress. • Traffic calming in Overmills - 30 Mph signs now in place. Cllr Wallace will progress a request for further signage in the area. • FHMCC environmental awards to local schools. Both Forehill & Holmston P.S. Head teachers are in favour. Bill will progress with Holmston, Anne with Forehill and Chris with Kyle. Awards are for the prize giving ceremony at the end of the school year. • Future Fundraising discussed. John will progress. • Need for cut back of vegetation overhang on the public footpath behind Overmills/A77 and on Castlehill Road. Dougie and Bill will progress. • Sale of Holmston House. Public meeting information has been posted on the website and FB pages. South West Hub will contact FHMCC to consult on build plans. • Forehill Primary Notice Board. Confirmation received that this notice board belongs to FHMCC. Dougie will source the key for the board and determine what repairs are needed. • Forehill Shops parking concerns. Following an inspection, ARA have advised that it will be cost prohibitive to install bollards. • freshAyr initiative information has been posted on the website and fb pages. • Holmston Road / Alternative Cycle Lane - John will progress with Sustrans. • Blue book review group meeting. FHMCC will send two representatives. • SAC Community Council Conference will be attended by John and two others. • £50 donated to Holmston Primary after school sewing group. • 1 Glenriddel Road parking not resolved. Anne will Email Cllr Kilpatrick requesting an update. • Chris Campbell suggested we record the actions taken to arrange the cycle track meeting. • Compliments received for September meeting minutes. • Tuesday, 29th November at 7pm, Kyle Academy. Local Residents are welcome. SAC / FHMCC Link Officer Chris Campbell. MOPs: In excess of 150 members of the public attended. Guests:Corrie Wilson MP, John Scott, MSP, Chic Brody, Stuart Turner, Director, Ayrshire Roads Alliance, Kevin Braidwood ARA, David Manson ARA. Agenda: Holmston Road Cycle Lane. The meeting was held in the Kyle Academy annex as the community council expected a large turnout. In excess of 150 members of the public came along on what was a very miserable night weather-wise. FHMCC Chair John McGuire opened with an overview of the purpose of the meeting and stated the published view of Forehill Holmston & Masonhill Community Council. A copy of this is included in these minutes. John then introduced Stewart Turner, Director of Ayrshire Roads Alliance who gave a presentation to the auditorium. • The Scottish Government are aiming for 10% of all journeys in Scotland made by bicycle by 2020. • Cycling throughout the area, not just in Ayr East. • The external funding for the cost of the work, £60K, was met by grants from three publicly funded bodies. 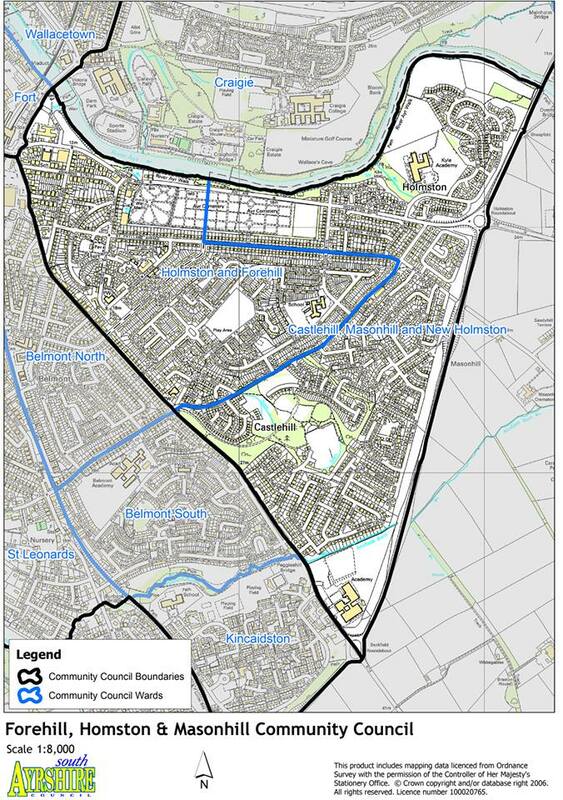 • The options for the cycle lane were Holmston Road and the River Ayr walk. Holmston Road was chosen as it was the cheaper of the two options and funding would not have been forthcoming for the River Ayr walk option. • The make-up of the cycle lane, drainage, paintwork etc. • An independent audit of the cycle lane reported that the work was within industry standard. When questioned on risk assessment, he advised that a risk assessment was included in the design project. • ARA dialogue and presentation throughout were not enough. • ARA had apologised in the local press about the lack of consultation. • Who funded this work? The £60K cost of the cycle lane was met by grants from Sustrans, Strathclyde Partnership for Transport (SPT) and Transport Scotland. • Did ARA consult with SAC to ask if further funding was available from SAC to carry the extra cost of moving the cycle track to the River Ayr walk. Stewart Turner responded “No”. • Did ARA consult with SAC at all prior to this work commencing. Stewart Turner replied “No”. • Damage to Ayr Cemetery wall. Lesley Bloomer commented that recent work carried out to the brickwork and stone meant that the wall could withstand damage caused by vibrations from passing traffic. She was then advised from the floor that work carried out the previous week had already deteriorated/disappeared. • The knock-on effect of drivers entering the cemetery rather than parking on Holmston Road and the damage caused by this to the cemetery grounds and headstones. No response from the table. • Winter clearance of Ice and snow. Stewart Turner stated that normal road clearance of snow would go ahead and that excess snow would be moved from the carriageway to the cycle path. Concerns were raised that this would hide the kerbstones creating a hazard for all road users and pedestrians. • How could Holmston Road be returned to its previous condition? Stewart Turner answered that the cost would have to be borne by South Ayrshire Council which would include the return of the grant of £60 and a further £20K to £30K would also have to be found from the local purse for the remedial work. The total lack of consideration and consultation by Ayrshire Roads Alliance who have shown complete indifference to local opinion. The comment by Stuart Turner that 600 cyclists per week used the cycle lane was greeted with loud disagreement and laughter from the auditorium. A member of the audience advised him that he was confusing the cycle lane with the Tour de France. Representation was made by all front row guests, Corrie Wilson, John Scott, Chic Brodie and all South Ayrshire Councillors present. With the exception of Cllr John McDowall, all voiced grave concerns regarding the safety aspects and practicality of the Holmston Road cycle lane. Alan Dorans, SAC SNP Group Leader addressed the auditorium and proposed that this matter should be brought to the agenda of next Thursday's SAC council meeting. He called on all SAC Councillors present to jointly support the Community Council's motion and to join together in a non-political initiative to represent local residents in a move to have Holmston Road returned to a carriageway, and for the cycle lane to be re-established along the River Ayr Walk. With the exception of Cllr John McDowall, all SAC Councillors present agreed to support taking this matter forward to the general Council meeting next Thursday. FHMCC Chair, John McGuire, concluded the meeting by thanking all those present for coming along and also thanked Kyle Academy and their staff for accommodating us. He re-iterated FHMCC'S stance on the matter and asked for a show of hands on the Community Council's motion. The show of hands was unanimous. Addendum:- Subsequent to our meeting Councillor Alan Dorans has raised a motion (copied below) on our behalf which will be heard at next week's full SAC Council meeting. The Community Council urges all residents to attend this full council meeting, held on Thursday 6th October at 10am in the County Hall, County Buildings. You will be asked to sign in on arrival so we would suggest you go along early to allow time for this so that access to the meeting is assured. FHMCC also ask all those present at the September meeting to come along to our October meeting, Tuesday 25th October at Kyle Academy Annexe at 7pm when the outcome of SAC's council meeting held on Thursday 6th October will be on the agenda. “That Council agrees that the recently constructed bi-directional cycle lane at Holmston Road, Ayr imposed by the Ayrshire Roads Alliance without consultation is removed and the carriageway restored to the original condition existing prior to these works taking place. That Council agrees that the Ayrshire Roads Alliance carry out this work immediately with the costs being met, at this stage, from uncommitted reserves. That Officers are requested to enter into dialogue with East Ayrshire Council for reimbursement for any such costs incurred by this Council. Further that Council agrees that the Ayrshire Roads Alliance investigate alternative routes for the cycle path specifically including the route along the path running parallel to the South bank of the River Ayr. On Tuesday, August 29th 2016, in a regular community council meeting, Forehill, Holmston and Masonhill Community Council (FHMCC) noted that they fully support the Scottish Government's initiatives to increase journeys by cycle rather than car and are enthusiastic in supporting this initiative. However the execution of this initiative by Ayrshire Roads Alliance (ARA) is not supported by this Community Council, particularly with the negative impact on Holmston Road in Ayr and the local residents. FHMCC firmly believe that the cycle lanes should have followed the River Ayr walk. This is what we wish to see happen. Ongoing development of the cycle lanes down Overmills Road, across private land to allow access to the A77 underpass reinforces our opinion that the Holmston Road changes are wrong, never consulted on, not even with South Ayrshire Council, and are being implemented by ARA with an indifference to local opinion. Consequently, Forehill, Holmston and Masonhill Community Council oppose current plans and want the River Ayr cycle paths option to be fully developed and funded with the changes made to Holmston Road reversed. Ongoing discussions must involve all interested parties, including residents, that cycle usage can indeed be increased in South Ayrshire. • Response received from SAC regarding the sale of Holmston House which is progressing as anticipated. No further details available from SAC at this time. SAC Library department thanked FHMCC for supporting and profiling Forehill Library on our media outlets and for our donations to their events. All other pertinent correspondence has been included in the agenda. • Still awaiting annual funding from SAC. A report of the accounts was read out. • FHMCC website/FB - ongoing as a ‘work in progress’. We invite Members of our Community to inform us of any matters of local interest for posting online. • Friends of Castlehill Woods - following correspondence with SAC we are happy to note that they have reacted to our comments and have begun a clear-up and maintenance of the walkways and paths. • Litter/Environment in the area - Dongola Road overhang has been cut back following the community councils' ongoing campaign. It was noted that a similar problem now exists on the Castlehill Road footpath which John will progress. A request has been made via our webpage for local residents to report litter blackspots in the area. • Kyle Cycle Track - Chris will update at the next meeting. • Large vehicles using Castlehill Road/ Holmston/Hillfoot Roads. French Haulage responded that they would cut back the use of Castlehill, Hillfoot and Holmston Roads whenever possible. • Traffic calming in Overmills - Police Scotland will progress and update in September. • 1 Glenriddel Road usage and parking. Concerns continuing re parking. SAC Councillors Wallace and Kirkpatrick will follow this up again. • freshAyr initiative update - Sandra is waiting for their response. • Anne and Sandra will visit Forehill PS Parents Council meeting on 21st September at 7pm at Forehill PS. • Forehill Library' children's summer holiday program was a great success. • It was suggested at a previous meeting that we contact the local Primary Schools to discuss a similar annual award - Action by Anne. • Holmston Road Cycle Track. It was agreed that the community council will table and publish a motion on this prior to our September meeting. • Tuesday, September 27TH , 7pm, Kyle Academy. Local Residents are welcome. Attended:John McGuire, Bill White, Dougie Smith, Anne Stewart, Nicola Murray, Mary Elliot, Tom Houston, Sandra Taylor, Samantha Stewart, Brian Wotherspoon, Eileen Alexander, Allison Russell. • Correspondence to French Haulage, Spar, Morrisons, Correspondence from Ayrshire Housing, Forehill PS Parents Council, BKSTL. Contact with Dundonald CC. Postings on all of our media sites ref SAC assisted bin collection services, sale of Holmston House, Notice of CC vacancies and info on Malcolm Sergeant's' petition. • Awaiting annual funding from SAC therefore there is no change from last month's report. Annual accounts are with SAC. FHMCC has been awarded a £372 grant from Ayrshire Housing in support of our 2016 projects. How best to use these funds has still to be discussed. £25 was spent out of the private funds for the fund raising summer BBQ at Forehill PS. A clear profit of £75 was made. John and Anne will be added as signatories for financial accounts. • FHMCC website - Samantha will liaise with the Community Councils group re fund raising opportunities. Anne has emailed the local Spars and Morrisons. Samantha will collect offered funding from the Keystore at Forehill and from Masonhill Garage. • Friends of Castlehill Woods will meet at the woods entrance off of Roman Road on Tuesday 5th July at 6pm. Grounds Maintenance tools are available. All local residents are welcome to come along and help for an hour. The vandalism to the notice board on the woods gates will be inspected. • Litter/Environment in the area - John and Bill will walk known ‘blackspots’. • Kyle Cycle Track - There is a summer programme scheduled to deal with the brambles and overgrown vegetation at the Kyle Cycle track and the quarterly Kyle Academy litter picks will occur in October, December, Easter and June. Bill suggested 3 voucher prizes for each litter pick. Chris will liaise with the school. • Large vehicles using Castlehill Road/ Holmston/Hillfoot Roads. Awaiting response from French Haulage. Anne will progress. • Traffic calming in the area - Chris contacted the police following our April meeting and we await their response. • Overhang on Dongola Road - Cllr Douglas advised that ARA will progress this. • Further road works are planned for Dongola Road/Holmston Road. • 1 Glenriddel Road usage. Cllr Douglas received a report from SAC SW stating there is no change to the usage of this address. Concerns continue to be raised regarding the number of cars parked at this address causing drivers to reverse on to the main road/bus route. • Forehill Shops parking concerns. Following Sandra's formal complaint to SAC, she will liaise with Cllr Wallace who will progress these concerns. • Disruption to freeview television service / 4G work. Cllr Douglas spoke with the operating company @0800 who have advised they expect these disruptions to clear when the Troon open has ended. If not they will then investigate further. • Correspondence to endorse a new town initiative, freshAyr, was received. Sandra will bring more information on this to the next meeting. • Anne and Sandra will visit Forehill PS Parents Council meeting on 21st September at 7pm. Venue to be confirmed. • It was agreed FHMCC will request a table at the SAC Communities Fun Day on Saturday, 10th September at the Citadel, Ayr. Anne will progress. Cllr Wallace will progress the parking problems at Forehill shops. • Over the past month there were a total of 35 offences in Forehill, Holmston and Masonhill including vandalism, breach of the peace, misuse of drugs, road traffic offences, theft, common assaults and one serious assault. Further information can be found at http://www.scotland.police.uk/your-community/ayrshire/south-ayrshire/ayr-east/. There was discussion about cyclists riding on the pavements in Ayr town. • Correspondence from Dundonald CC, South Ayrshire Council, Ayrshire Roads Alliance. Information regarding the current waste management industrial action was shared with Belmont, Kincaidston & St Leonard CC, Alloway & Doonfoot CC and on our website and facebook pages. Replies from Valerie Andrews SAC re Holmston House sale and Ayrshire Roads Alliance re recent roads works in the area. • Dougie advised that there is no change from last month's report and that the end of financial year audit paperwork has been submitted to South Ayrshire Council. The 2015 accounts are missing a receipt which Anne will follow up. • Friends of Castlehill Woods. The next litter pick will be in June/July. All local residents are welcome to come along and help. • Litter/Environment in the area will continue to be monitored. All local residents are invited to contact FHMCC with details of any litter ‘blackspots’. • Kyle Cycle Track - Ongoing upkeep of the cycle track is planned over the coming months. • Large vehicles using Castlehill Road. Members of Belmont, Kincaidston and St Leonards CC and FHMCC agreed to use a joint approach. Anne will draft correspondence initially for the haulage company and will circulate before sending. • Traffic calming in the area - Eileen and Cllr Wallace will update the progress in June. • Summer fund raising - requests were made for donations. • Sale of Holmston House. Bill read the reply from Valerie Andrews. It was agreed that a close eye should be kept on the planning list for information about the planning application for this grade B listed building. • Response from Ayrshire Roads Alliance regarding recent road works and advising that our contact information would be kept on file so that Fhmcc can be notified of forthcoming road works in Forehill, Holmston & Masonhill. 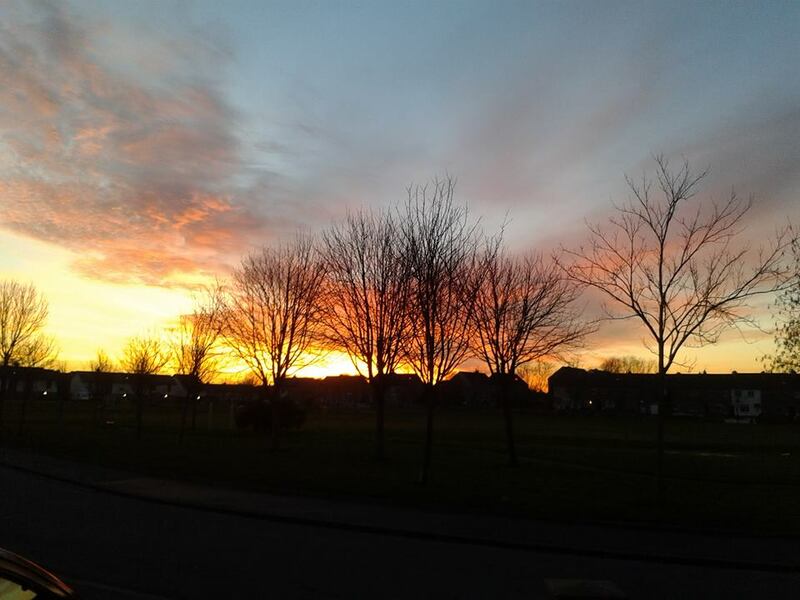 • Dundonald Community Council has invited local residents who rent from Ayrshire Housing to meet with them to discuss the charges levied for grounds maintenance in the area. The information will be posted online and on the notice boards and Anne will reply to Dundonald CC detailing our actions. • 1 Glenriddel Road usage. Cllr Douglas will advise at June meeting. • Concerns were raise about parking around Forehill Shops and photographs were circulated showing the problem. Sandra advised that a formal complaint has been raised with SAC and she will update on this at the June meeting. • Disruption to freeview television service was thought may be due to recent work carried out by 4G. Cllr Douglas will look into this and update at the June meeting. • Anne will post information about the assisted bin collection service available from SAC as many elderly and disabled people in the area may not be aware of this. • Sarah Gamble and Mary Elliot expressed interest in co-opting on FHMCC. The election process is now underway and will culminate on 1st July. Previous Minutes : Proposer - John, seconder - Samantha. • Responses from various emails were read. • The report was distributed to the committee. A copy is available from the Community Council upon request. End of year reports were discussed. • FHMCC website - John and Samantha have sourced new businesses for our media outlets. This is an ongoing initiative which all CC Members can support. • Friends of Castlehill Woods last litter pick went well. The next litter pick will be in June/July. All local residents are invited to come along and help. • All office bearers stood down and AGM business discussed. 2016/17 officer bearers were subsequently elected. Paperwork was distributed and will be lodged with South Ayrshire Council. • SAC Health and Social Partnership - John will provide feedback to the Health & Social Partnership committee. • SAC Town Centre and Retail Proposed Local Development. There are no updates at present. • Large vehicles using Castlehill Road. Members of Belmont, Kincaidston and St Leonards CC will join us at our May meeting to discuss a joint representation on this. • Traffic calming in the area - John will progress. • Overhang on Dongola Road - Discussed and Bill will update further at the May meeting. • Fund raising - it was agreed that this will progress as last year. • Possible venues for future events - Samantha will progress. • Kyle Community Transport re-launch 27th April - John McG will attend. • Samantha was approached regarding a noise issue from a flat in Forehill. The local resident was advised to contact South Ayrshire Council in the first instance. • Cllr Wallace reported that parking problems at Forehill Primary School will be monitored by Parking Attendants on an ongoing basis. • Recent (welcome) road works in our area. Anne will contact Ayrshire Roads Alliance and request they notify FHMCC in advance of future work in our area. We can then notify Residents through our media outlets. • Chris updated the room regarding ongoing community safety initiatives. • Brian and John expressed advance apologies for the May meeting. Previous Minutes : Proposer, Anne. Seconder, Samantha. • A brief report on correspondence received was read out including various emails from South Ayrshire Council, Oxfam, Highland Council, Ayrshire Homes and police notices. Anne has submitted a grant application to Ayrshire Homes for Fhmcc's various projects. An invitation was received for the re-launch of Kyle Community Transport on 27th April at 9.30 in the John Pollock Centre. John will attend. • The report was distributed to the committee. A copy is available from the Community Council upon request. FHMCC website - John has sourced new business for our media outlets. This is an ongoing initiative which all CC Members can support. • Friends of Castlehill Woods last litter pick went well. The next litter pick will be in May and a call for more volunteers will be made by Anne. Chris Campbell sourced and donated some litter picking tools. • Litter/Environment in the area will continue to be monitored following the recent SAC litter pick of the back lanes in the area. Anne will use our media outlets to call for members of the public to contact us with any concerns. How best to tackle litter around Kyle Academy. Chris will look into pupil volunteers and changes to the frequency of litter picking around the school. • Kyle Cycle Track - Chris plans to inspect the cycle track this month. Volunteer Pupils from Kyle Academy along with Community Safety officers will again work on the upkeep if the track. • SAC Health and Social Partnership - John provided feedback on the previous meeting and will attend their next meeting on 21st April. • SAC Town Centre and Retail Proposed Local Development. Cllr Douglas advised that SAC are in contact with Historic Scotland regarding Ayr town centre proposals. • Party flat - Cllr Wallace provided an update. There are no concerns at present. • Large vehicles using Castlehill Road. Members of Belmont, Kincaidston and Lt Leonards CC have accepted an invitation to come along to our April meeting to discuss how best a joint representation can progress. • Notice Board Repairs - Samantha has contacted our good Samaritan joiner who repaired our notice board and is awaiting a response. • John welcomed our new community councillor, Sandra Taylor of Forehill. • 1 Glenriddel Road. An email has been sent to SAC detailing residents' concerns and asking for information on their use of this Social Work unit. • Traffic Calming in the area. Eileen will liaise with Cllr Wallace regarding speed signs. SAC are investigating traffic concerns in Forehill and Hillfoot. • Anne will contact Joe Lafferty, High Rise Comm Assoc. re information on the port-a-cabin supplied by SAC. • Samantha will contact the Church of Jesus Christ Latter Day Saints, Mossgeil Road and Castlehill Church re the cost of hiring their halls for future events. • John welcomed our new community councillor, Sandra Taylor. Previous Minutes : January meeting was inquorate. o From 20th January to 23rd February there were 50 crimes reported in Ayr East of which 24 were detected; eleven assaults, fifteen thefts, two drugs related, seven breach of the peace and the remainder related to vandalism and traffic offences. 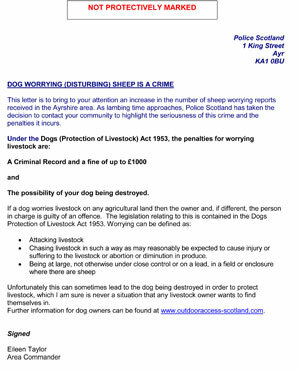 o Ayr East local area report is available to view online at Ayr Police Scotland's website. o Correspondence was received from Ayr West Community Council, South Ayrshire Council, Countrywide Environmental Campaigns. Copies are available from the Community Council upon request. o The report was distributed to the committee. A copy is available from the Community Council upon request. o FHMCC website — Committee members will contact business owners known to them regarding advertising on our website. Anne is awaiting the response from the Spar group re funding. o SAC Health and Social Partnership — John/Eileen will attend the next meeting. o Litter/Environment — The back lanes targeted last montj have been litter picked and swept. Ongoing monitoring of all areas will continue. o Kyle Cycle Track — Chris has a plans for another summer initiative for vegetation control and is liaising with the school and pupils to encourage awareness of the environment. o There are no current issues with the children's house or the party flat. 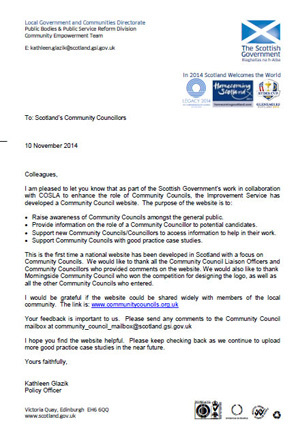 o The Scottish Community Council website re-launch — Anne will look at linking their site with the committee site. o SAC Town Centre and Retail Proposed Local Development — details can be found online at http://www.south-ayrshire.gov.uk/planning/planlpdocuments.aspx and http://www.south-ayrshire.gov.uk/planning/publications.aspx. A copy of the original email is available from the community council on request. o Large vehicles using Castlehill Road are not breaking any law. It was proposed to contact Ayr West Community Council with a view to unite to progress this matter. John will action and advise the outcome at the March meeting. o Notice Board Repairs — Samantha will contact the local joiner who repaired our notice board and offer to link our two websites. o Concerns were raised over the use of the Social Work unit at 1 Glenriddel Road and the knock on effect of parked cars. John will email Fiona McDonald to enquire if there has been a change of use at this address and report back in March. o Concerns were also raised re pavement parking in the area. The advice was to report this to the ARA. o Councillor Brian McGinley has been contacted by email to advise that he is welcome to attend the March FHMCC meeting in his capacity as the Labour candidate for the forthcoming May elections. Guests: Constable Karen Ritchie and Sarah Hilley of the Ayrshire Post. Apologies: Eileen Alexander, Cllr Ian Douglas, Anne Stewart, Dougie Smith, Cllr Mary Kilpatrick, Cllr Brian McGinley, Tom Houston, Bill White. This meeting is inquorate. Our quorum is six members and only four were present. This community council has 11 members being Eileen Alexander, Bill White, Lynne Thompson, Roddy Cochran, Douglas Smith, John McGuire, Anne Stewart, Tom Houston, Brian Wotherspoon, Nicola Murray and Samantha Stewart. Allison Russell is co-opted. Previous Minutes: Proposed by Samantha Stewart and seconded by Nicola Murray. Matters Arising: None, however please note that two of our office bearers have been impacted by family bereavements. Police Report: It was reported that since the beginning of December we had one robbery, one house breaking although a few failed attempts, eight assaults, 0ne drugs offence, nine breaches of the peace and 12 instances of vandalism. The police report is available also through Police Scotland's web pages. Secretary's report: There is no report for January. • Fiona McDonald (SAC) will update our next meeting on how things are with the Children's House. • John McGuire will participate in the Health and Social partnership and attend their meeting in the County buildings on February 11th. • We should continue to encourage local businesses to advertise on our FHMCC web pages and an independent income stream. • Litter picking in the paths between Hillfoot Road and Lesly Crescent seems to be successful. Residents are encouraged to highlight areas that would benefit from that effort. • Castlehill Woods will have the benefit of a team of volunteers and with SAC support to cut back and prune the overgrowth that is blocking paths. If you wish to participate, please meet at the Castlehill Gates at 9.30am on Thursday February 25th 2016. This will, we hope, be an ongoing exercise. • Community Council members should complete the forms for continued membership these to be returned to SAC by the end of February. New members are needed and will be made most welcome. • Still reports of disturbance in Gavin Hamilton Court. The police are engaged as are SAC. AOCB: John McGuire commented on the significant number of members who unfortunately never made tonight's meeting and posted advanced apologies for the anticipated brevity of the minutes, as he's also be producing them. • Sale of Holston House - any update? • Overhang on Dongola Road - Bill. • SAC Community Council Conference: Friday 18th November at County Building 10-4pm. The September meeting agenda will cover the Holmston Road Cycle Lane. • Large vehicles using Castlehill Road/ Holmston/Hillfoot Roads. French Haulage response. • Overhang on Dongola Road - Update Bill. • Litter and Environment Update - Bill. • Meeting invitation from Forehill PS Parents Council. • More roadworks planned for our area? • Summer Recess and Next Meeting Date. Friends of Castlehill Woods Litter Pick - John to advise at June meeting. Litter and Environment Update - Bill. FHMCC Webpage advertising campaign. A request was made at the last meeting for the community councillors to ask their contacts if they will advertise on our pages - any updates on this? Notice Board Repairs. Contact local joiner who repaired our notice board - Update Samantha.